Best Car Insurance Plans In India: You have no choice but to get Car Insurance if you have a car. However, when it comes to buying Car Insurance, there are plenty of options. As you know, insurance is a protection against financial loss that might arise from the happening of an unexpected event. A person can avail this protection by buying a policy and paying a premium for it to an insurance company. 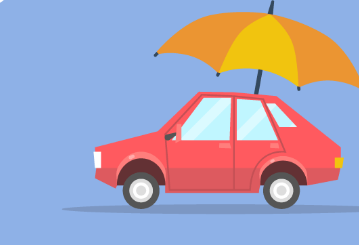 The primary purpose of Car Insurance is to provide financial protection to the policyholder against losses incurred due to any physical damages to their vehicle. Example: Fire, explosion, lightning, earthquake, flood, typhoon, hurricane, storm, tempest, inundation, cyclone, hailstorm, frost, landslide, rockslide etc. Example: Burglary, theft, riot, strike, malicious act, accident by external means, terrorist activity, any damage in transit by road, rail, inland waterway. Coverage for the individual driver of the vehicle while travelling, mounting or dismounting from the car. Protection against legal liability due to accidental damages resulting in the permanent injury or death of a person, and damage caused to the surrounding property. A Third Party Liability cover is mandatory in India under the Motor Vehicles Act. A comprehensive Car Insurance policy is one which covers all of the above. 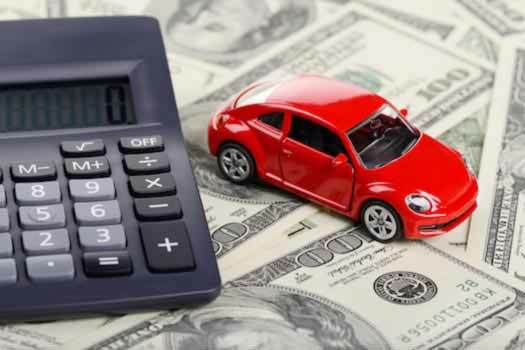 With the vast number of Car Insurance plans available in the market, which one should you opt for? Here are some popular plans. Bharti Axa Car Insurance covers a 2,500+ network of cashless garages and has a 24/7 claim settlement service. This will help you get those claims settled quickly. The Claim Settlement Ratio (CSR) of this insurance company is 89.09%, which is quite high when compared to the average of 78% for the industry. Bharti Axa has two covers. One is the basic cover and another is the basic plus roadside assistance cover. The basic cover will have third party liability cover, personal accident cover and cover against calamities. The basic plus roadside assistance cover will include all the features under basic and will also provide services such as on-road repairs, towing services, change of tyres, emergency fuel and lost keys. Bharti Axa also offers add-on covers such as depreciation cover. This cover lasts for 5 years. You also get a No Claim Bonus (NCB) of about 50% when you renew the policy. Being a government enterprise, National Insurance does offer cashless garages and has a 24/7 roadside assistance and claim settlement service. The CSR of this insurance company is 84.16% and just like other insurers National Insurance provides third-party liability cover of up to Rs. 7.5 lakhs. National Insurance has two covers. One is the liability-only cover and another is the package cover. The liability-only cover will ensure only against damages to a third party. It will not cover damages to your vehicle. The package cover will have third party liability cover, damages to your vehicle and damages due to calamities (natural or man-made). National Insurance will provide NCB but the discounts will be higher if you opt for higher voluntary excess. With HDFC ERGO you get a network of 5,000+ authorised cashless garages and 24/7 claim settlement service. This company has been assigned ‘iAAA’rating by ICRA indicating the highest claim paying ability. HDFC ERGO has a CSR of 89.43%, making it a popular choice. HDFC ERGO has many plans to suit your requirements. These include the Silver plan, Gold plan, Platinum plan and Titanium plan. While all plans come with zero depreciation cover, the gold plan will give downtime protection. The platinum and titanium plans give customers engine and gearbox protection, and NCB protection. The Titanium plan will also cover the cost of consumables. Royal Sundaram provides you with 3,300+ cashless garages across India, a free roadside assistance kit and insurance cover that is equal to 100% of the invoice price. The company also provides 24/7 roadside assistance and towing assistance. The CSR of this company is 82.78%. Royal Sundaram provides NCB to its customers. You can also get a 5% discount on Own Damage cover if you are a member of the Automobile Association of India. Royal Sundaram provides both basic as well as roadside assistance cover. The basic cover will include cover for own damages, third-party liability and personal accident cover. If you opt for a voluntary deductible of Rs. 15,000, you will get a 35% discount on the premium for Own Damage cover. Related Posts of "Best Car Insurance Plans In India"